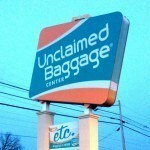 After visiting the random unclaimed baggage center in Alabama, our next stop was the awesomely named city of Chattanooga in Tennessee. This turned out to be one of my favourite stops on our Road Trip USA Deep South Tour, and I now have a bit of a crush on Chattanooga. What a lovely place! Unfortunately, we only had a day here as there are so many things to do in Chattanooga with kids. I would have loved to see more. I’m not sure exactly what it is about Chattanooga that had me so hooked. Maybe it was the trees, the water or the views as we came into town. 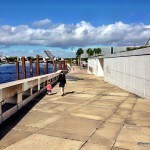 Or the good looking downtown and riverfront area. Maybe the food, the attractions. Most probably all of this added together. I loved our day here. My only regret? That we only had 24 hours here, and we couldn’t extend it for longer. Nevertheless, our day in Chattanooga has been the best day of our Road Trip USA Deep South Tour so far. It is also the worst day of weather that we have had so far as it rained all day. I think this makes it extra impressive that we enjoyed the day so much! This was actually a last minute inclusion as we had been planning on saving our aquarium visit for Atlanta’s aquarium, but I am glad we changed our mind about this. The Tennessee Aquarium is fabulous and was perfect for our family. It is apparently the world’s largest freshwater aquarium and reputed to be one of the best in the US. It is housed in two buildings, the “River Journey” and the “Ocean Journey”. We started with the river journey. This building was fabulous and our favourite. You start by heading to the top floor and then slowly head down 4-5 stories passing by many tanks and aquariums as you do. The idea is that you are following the journey of a raindrop as it makes it way from the top of a mountain to streams, lakes, swamps and rivers. There was so much to love about this. The tanks were often at floor level or just above with areas for the kids to stand on and get close to the fish. We saw sharks, sting rays, turtles, sea horses, fish, trout, alligators… It was impressive, especially for someone who has just been to Melbourne’s lacking aquarium. There are opportunities to touch some fish which delighted S.
The Tennessee Aquarium’s ocean journey started on the top story as well. This is a jungle area where we could touch small sharks and sting rays. There is also a butterfly enclosure. We then passed by penguins, lots of jelly fish and many other sea life on our way down. At the bottom, there was a cave like area set up with fish on our sides and above. The kids favourite part was a small cave like area here, where the 4 of us could huddle together surrounded by fish. 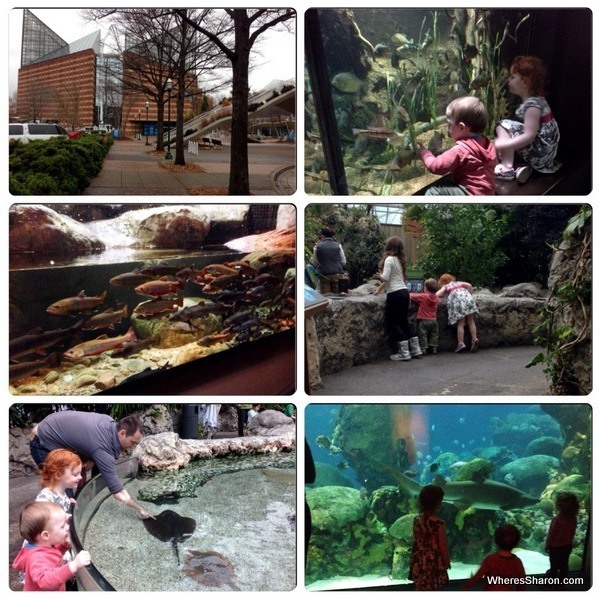 The Tennessee Aquarium cost us $64.83 for two adults and a child (under 3’s are free). One of the pricier activities we have done on this trip but so worth it, especially as the Atlanta one would have cost us $50 more! The ticket gives you access to both buildings and you can come and go as you please over the day. 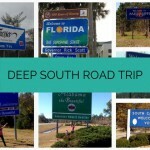 This diner was the type of place we dreamed about when we decided to do a Deep South road trip. It was southern food and hospitality at its best, and we loved it. From the outside, Zarzours didn’t look that great and we nearly didn’t go in! It looked all shuttered up and is situated next to vacant lots. I would never have expected to find the homey loving place we found inside. It was small, but lovely and full of attentive and accommodating people. The manager, Shannon, told us that the restaurant had been running for 95 years. Zarzours was started by her husband’s great great grandfather. She went through the small menu for us and made suggestions for the kids, that we could modify so we got the perfect meal for them. She gave Z a toy and a high chair. I have not been to many places as welcoming as this for kids either. When S decided to crawl around pretending to be a cat, Shannon just made sounds like a cat as well and told us not to worry about her. We had what she recommended for us – some roast beef on bread covered in gravy, some beans and mashed potato which she said is typical of the region. The whole thing was delicious. I don’t usually even like beans but I devoured these. The kids actually attacked their vegetables before their chicken! We tried some lemon ice box pie for dessert which I have never even heard of, but it was just delicious. I may have to convince J to learn how to make this when we get home! The place had a constant stream of customers but Shannon talked to us when she could. She said she loved our accents. I think she is definitely the one with the great accent! Zarzours was a fantastic experience, one that will probably make all diners a disappointment from now on, but I am sure we will back in this gorgeous town to try it again one day. It was also incredibly good value. Only $27 for everything before tip (which was very generous!). 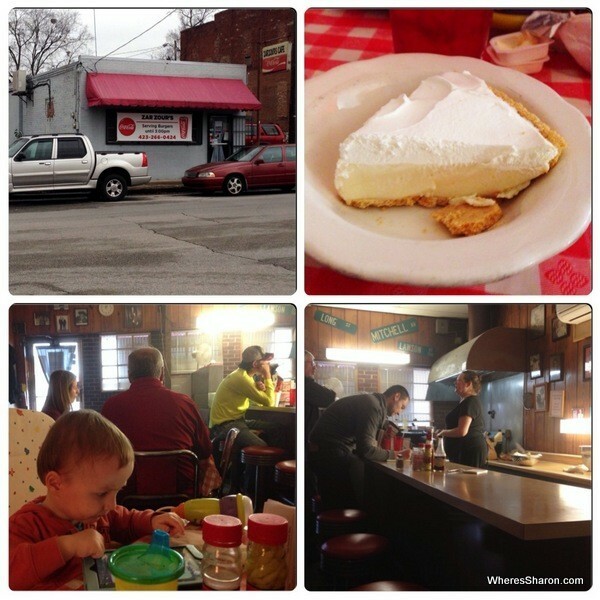 This diner was one of our favourite things to do in Chattanooga. After lunch, it was time to check into our motel, as Z was very tired and becoming hard work. Unfortunately for me, I was on nap duty while S and J checked out Chattanooga’s Children Museum. 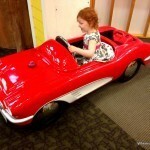 The Chattanooga Children’s Creative Discovery Museum was so big and such a hit that it has its own post! It was easily the best children’s museum that we visited during our USA road trip and a definite must visit if you are looking for things to do in Chattanooga with kids. J and S didn’t finish at the children’s museum until closing time at 5pm, so it was straight off for dinner once they picked Z and I up. 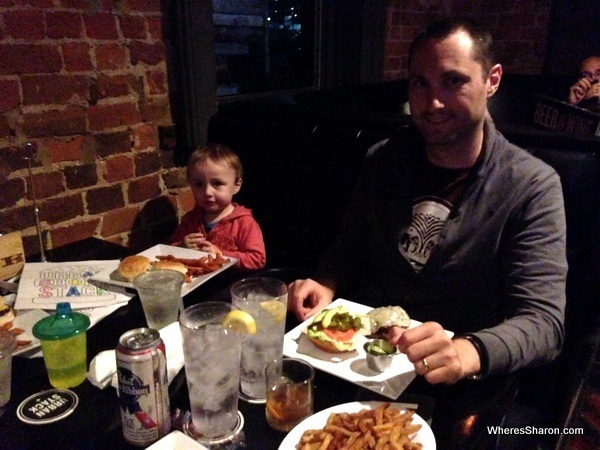 This “burger lounge” was recommended to me by Lesli at 365 Atlanta Family. I’m glad she did! It is popular and uses great locally grown ingredients. It is in a lovely building and had a great atmosphere when we were there. The kids were welcome and well catered for. They also have a great bourbon cocktail menu! J enjoyed an old fashioned. We stayed at the Ramada Chattanooga, and it was fabulous. Our only complaint is that we were hanging out to use the indoor pool, but they wouldn’t let us use it the following morning as they only allowed entry after check out time which was annoying, mean and a bit stupid. Ramada Chattanooga $76 including wifi, breakfast and a lovely room with fridge and microwave. We loved this motel. Read more reviews and see the latest prices here. Chattanooga Choo Choo – This hotel is a great choice if you want something central, historic and with a cool name! It is also very family friendly and comes with a swimming pool. Click here for the latest prices. 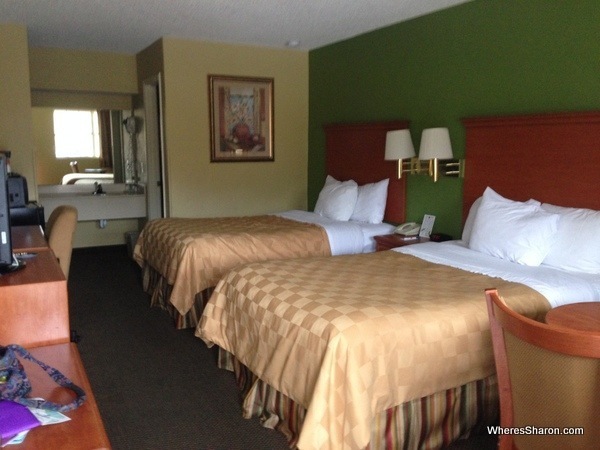 Days Inn Rivergate Chattanooga – For a budget downtown option, this Days Inn is the top pick. Click here for the latest prices. We went a fair bit over budget with our day in Chattanooga. We used Christmas money from my mum for the attractions, and then we were about $20 over budget after eating out twice. It was worth it though! Overall they loooooooved the things we did in Chattanooga. S was ecstatic about going to the aquarium. It was a big hit for her. Z was scared at times, and it took a little while for him to get into it. He was probably actually happier chasing his sister than seeing the fish, and it did back up our feeling that there isn’t that much point taking him to some of the bigger attractions on this trip. He is basically always free, but to take two kids generally means having to pay for both of us adults, so it does end up costing money effectively to take him along. 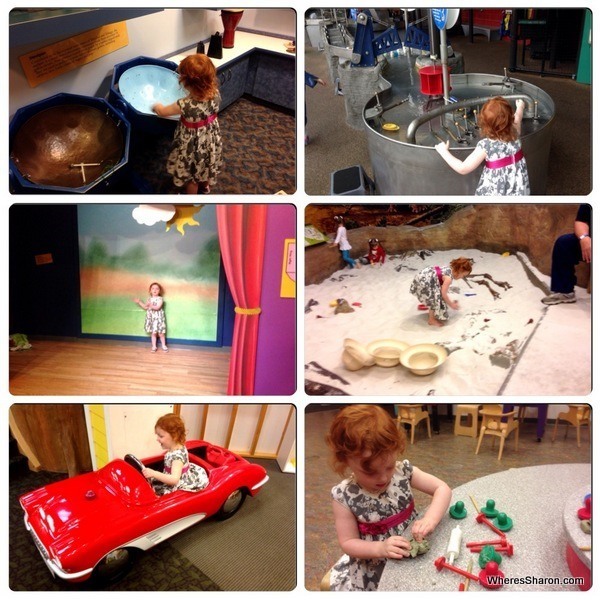 The Chattanooga’s Children’s Creative Discovery Museum was an even bigger hit. In case you can’t already tell, we loved Chattanooga! There are more things to do in Chattanooga that we would have liked to do if it hadn’t been for the bad weather. We would have loved to walk around the river area, visit Collidge Park and gone to Rock City. In a way, though, I am glad the weather was bad and we had our day exactly the way we did, as it was fantastic! If it wasn’t for the Christmas parade and events that we were travelling to Helen, Georgia for the next day, we would definitely have extended our stay in Chattanooga. Disclaimer: This post contains an affiliate link. This means that if you make a booking after clicking on this link then we may receive a small commission at no extra cost to you. Exploring the awesome Las Terrenas, DR!! How frustrating about the pool! Isn’t that when everyone swims – in the morning? Otherwise it sounds like a great stop. I like the idea of following the raindrop through the aquarium. Yes, it was ridiculous. I am sure they just wanted no one using it at all. It was seperate to the rooms so made no sense at all! S through a total tantrum when we turned up ready to hop in it, and I could have killed them! I think A would have thrown a tantrum as well. Sometimes he can’t get by without his morning exercise – and he’s meant to be the adult! You hit that town like a local! Awesome! So sad we missed you though! I’ve always meant to do a road trip through the Southern US… looks so interesting down there, totally different perspective of the continent I bet… and I mean with a city named liked ‘Chattanooga’.. how could you go wrong?! So cool! I love the choice of background music!! I found it very interesting. My previous trips to the US were mostly to the big cities – LA, San Fran, Las vegas, New York etc, so it was definitely great to get a different perspective! While all of these activities look great, I think I could sit around and say “chattanooga” all day and be totally satisfied. One pressing question, though… what is the difference between a key lime pie and a lemon ice box pie? Because that really looks like a key lime pie to me, but hey, not an expert. I have never had key lime pie so I can’t tell you! Hopefully someone else will read this and let us know. All I know is that I still daydream about that pie!! looks like a great place for the kids and has some great food too! PLease explain what a Key lime pie is ? – is it some type of lime and keys? haha! A great overview of the city and your children are adorable!! Great little travelers! Also check out the Choo Choo restaurant–they have live music and a great salad buffet and amazing ribs–it was a blast for our then 2 year old and pregnant me. We loved the zoo, too.. and the long pedestrian bridge with an ice-cream shop on one end! My family lives in Tennessee and have visited Chattanooga several times. Both places your family visited are in our top places to see on vacation. (Our kids have always loved the aquarium and science museum.) 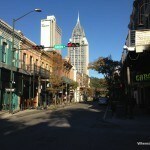 There are a lot of interesting things to see and do in the downtown and river area. Have you ever heard of the Lookout Mountain Incline Railway? It is one of the steepest passenger railways in the world. 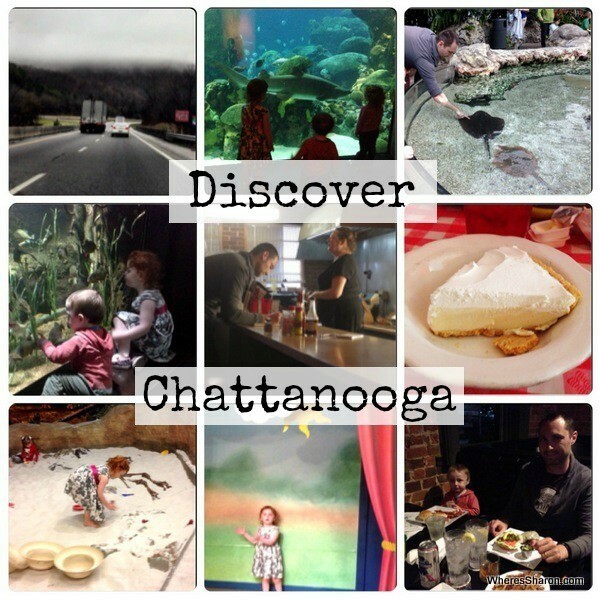 It is another great thing to do if you visit Chattanooga. Near Chattanooga, just across the Georgia state line, is Lake Winnepesaukah Amusement Park. It is a reasonably priced amusement park and a very fun way to spend a summer day. Thanks for adding some great suggestions! It seemed to us like there was a lot to do in the area that we had to skip due to time and the fact that the weather was bad while we were there. I hope to make it back sometime. We really loved Chattanooga!